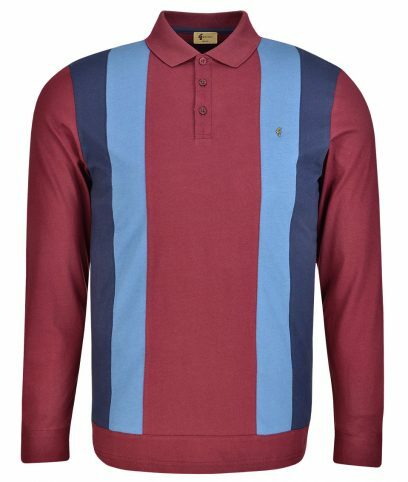 V41GX13 Long sleeve polo shirt by Gabicci Vintage made from 100% cotton in a regular fit. Blue panel stripes on front, plain on back. Metallic gold ‘G’ emblem on left of chest. 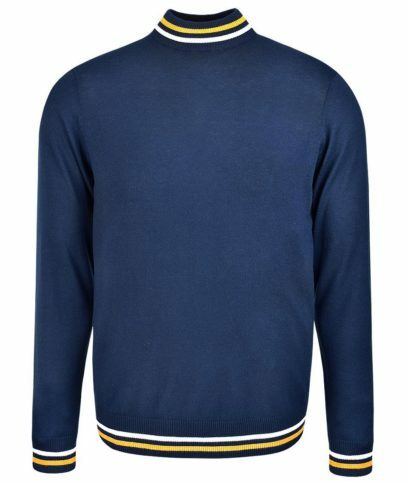 Long sleeve knitted turtle neck jumper by Art Gallery made from 55% acrylic and 45% cotton in a regular fit. Contrast yellow and white stripe neck, cuffs and hem. Plain on back. 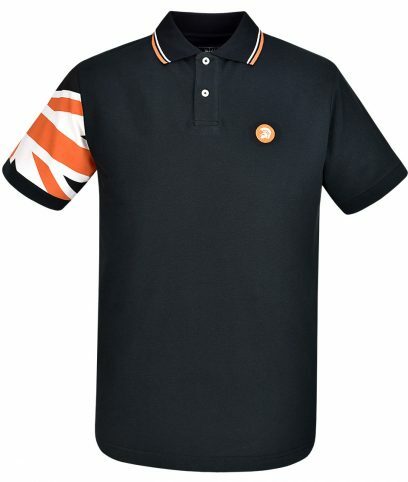 TR/8218 Polo shirt by Trojan Records made from 100% cotton in a regular fit. Houndstooth pattern on front with contrast collar, placket and sleeves. Embroidered Trojan emblem on left of chest and plain on back. LG1608 Polo shirt by Lambretta made from 100% cotton in a regular fit. Contrast turquoise and white tipping on collar and cuffs. Embroidered Lambretta target and logo on left of chest. Small Mod target on left sleeve. Plain on back. 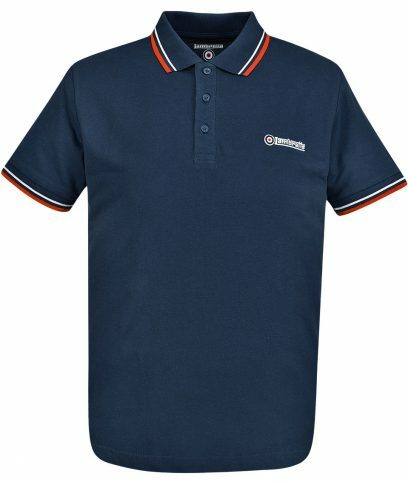 SS1608 Polo shirt by Lambretta made from 100% cotton in a regular fit. Contrast red and white tipping on collar and cuffs. Embroidered Lambretta target and logo on left of chest. Small Mod target on left sleeve. Plain on back. 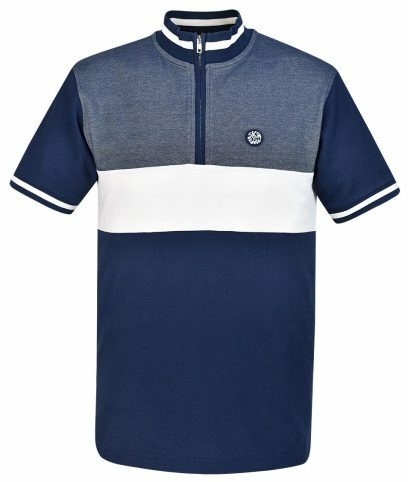 SS3977 Cycling top by Lambretta made from 100% cotton in a regular fit. Zip neck collar with contrast turquoise tipping on cuffs. Embroidered Lambretta target and logo on left of chest. Small Mod target on left sleeve. Plain on back. 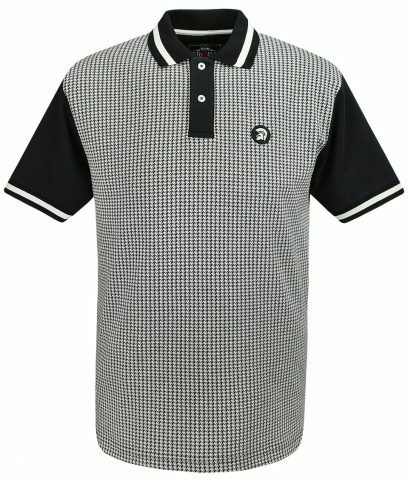 SS1608 Polo shirt by Lambretta made from 100% cotton in a regular fit. Contrast yellow tipping on collar and cuffs. Embroidered Lambretta target and logo on left of chest. Small Mod target on left sleeve. Plain on back. 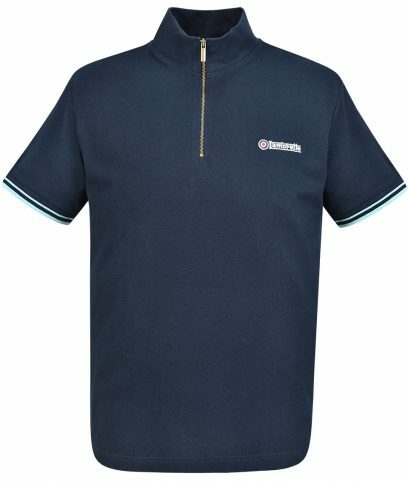 V39GM26 Limited Edition long sleeve polo by Gabicci made from 50% cotton and 50% acrylic in a regular fit. Alcantara trim and gold detailing with front pocket to left of chest. Metallic gold ‘G’ emblem on pocket flap and plain on back. 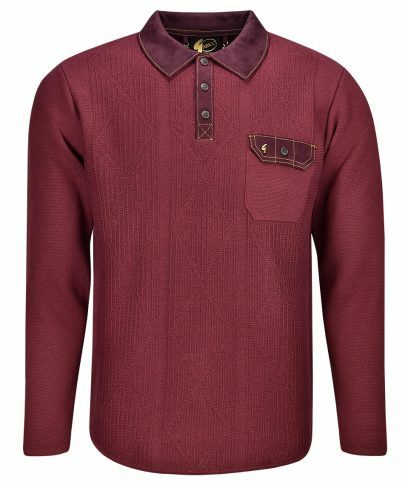 TR/8358 Long sleeve polo knit by Trojan Records made from 100% cotton in a regular fit. 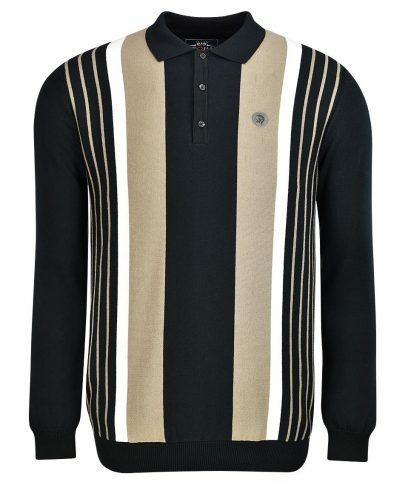 Contrast white and camel coloured stripes on front. Leatherette Trojan emblem on left of chest and plain on back. SS/2232 Cycling top by Ska & Soul made from 100% cotton in a regular fit. 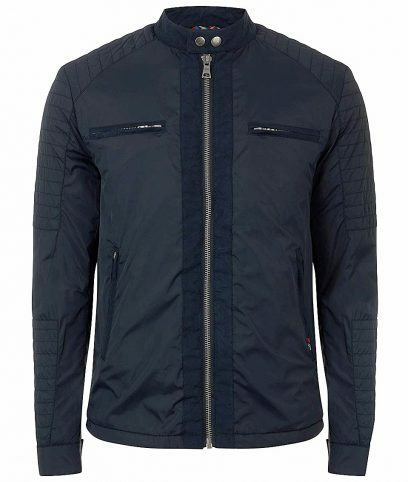 Navy oxford panel on chest with contrast ecru stripe. Zip neck and small zip pocket on lower right of back. Embroidered Ska & Soul badge on left of chest and plain on back.